Port Jackson, located in Sydney Australia, consists of Sydney Harbour, Middle Harbour, North Harbour and the Lane Cover, and Parramatta Rivers. Most famously, within Port Jackson the Sydney Opera House can be found, as well as the Sydney Harbour Bridge and many small islands. At any given time of the year, the harbour is chock full of boats, from passenger ferries to personal yachts, from kayaks to a few large cruise ships. Sydney-siders and tourists alike love seeing the sights within the harbour! 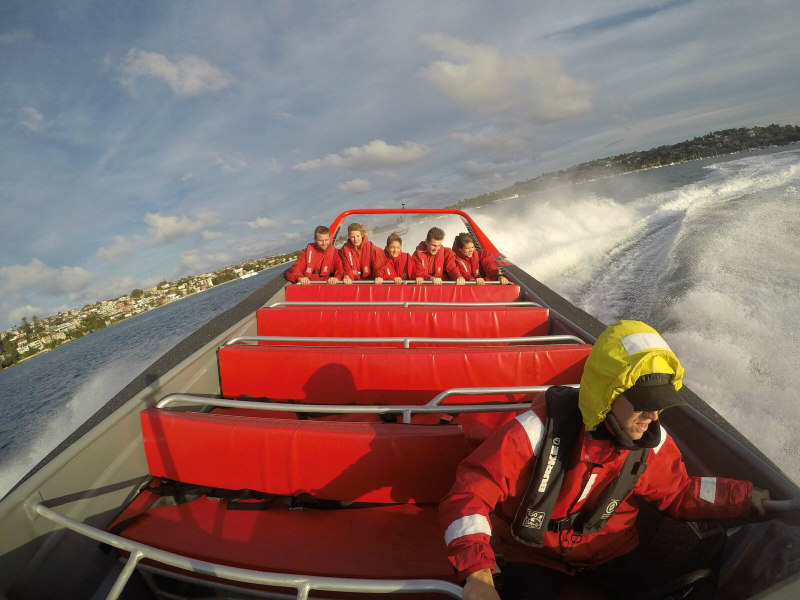 And there’s no better way to do it than on a thrill ride with the OZ Jet Boating. 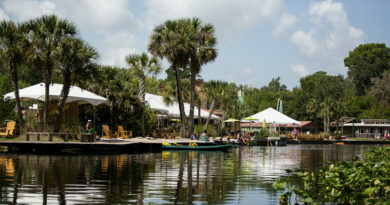 Thankfully, they were agreeable to working with us, and arrangements were made for the ride of our lives. After a quick rundown of the type of thrilling stunts the captain would be doing on the water, we were instructed on the best way to hold onto the safety bar for ultimate comfort during the boat spins. Additionally, we were told of the different safety measures the company takes to ensure passengers are not sick. Afterwards, we set off into the harbour! Not more than 10 minutes into the high-speed ride, our driver had already taken us through several boat spins and power break stops, and we were already soaked. 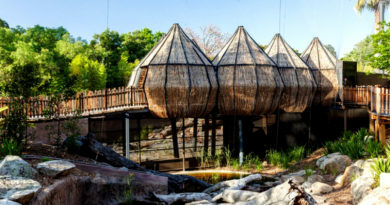 Then our driver took some time out to point out historic things within the harbour, such as Fort Denison, a former penal site turned restaurant, the Taronga Zoo, prime real estate on the bay, as well as Kirribilli House, the official secondary residence of the Prime Minister of Australia. 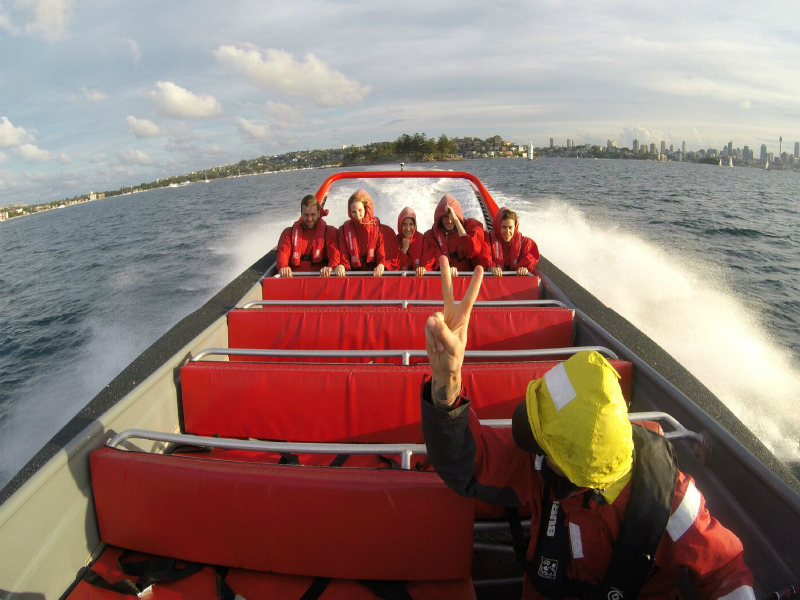 While most cruises within the harbour can be a bit dull, the Oz Jet Boating Company provides an alternative thrilling adventure for those seeking a lively view of the beautiful Sydney Harbour. All staff are warm, inviting, and very knowledgeable. Our Captain was enthusiastic, charismatic and after each spin, he double checked to ensure all passengers were well and wanted to continue with the next maneuver. He had full control of the boat the entire time and I felt very safe throughout the tour. With nothing to worry about, we were able to just sit back and enjoy the region as well as several more 360-degree spins! 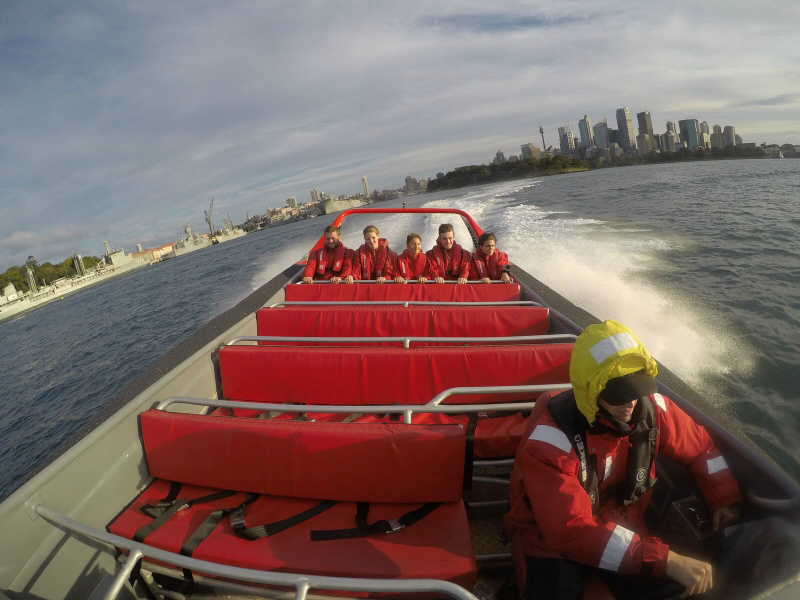 A GoPro was affixed to the front of the boat for video, as well as provided passengers with the opportunity to take selfies as we drove past places of interest, such as The Bridge and the Opera House. Since phones and cameras had to remain on land, this allowed passengers to take home a memory from the trip, as all photos and video from the 30-minute boat ride could be purchased afterward. A drawback of this adventure is the poncho, given that the hood is not equipped with a drawstring. As such, it has a tendency to fly off as the boat is doing tricks. So be warned, if you go but don’t want to get your hair wet, take a waterproof hat with you because it’s impossible to keep the poncho hood on. The only other piece of advice would be to consider the day and the time of year before riding. Though it may be summer in the northern hemisphere, it is currently autumn in Australia. Not to mention that our particular tour took place just before sunset. As a result, getting drenched in water left us cold and shivering after we returned to the dock. If you visit Sydney in the fall or winter, we would recommend taking a ride in the early afternoon! 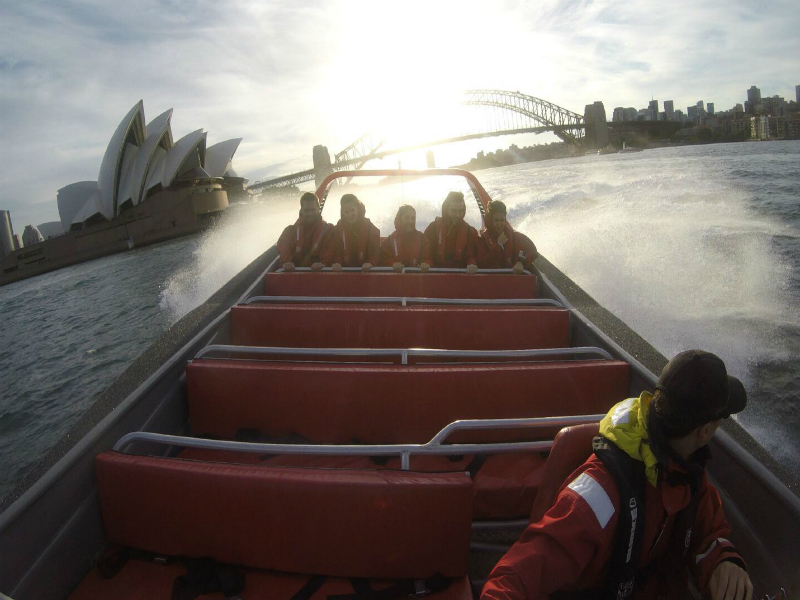 If you’re looking for a thrill when visiting Sydney, I would highly recommend this adventure! The first 360-spin will surely leave you screaming. Again and again! Looks like a lot of fun. Does the boat run all year round?